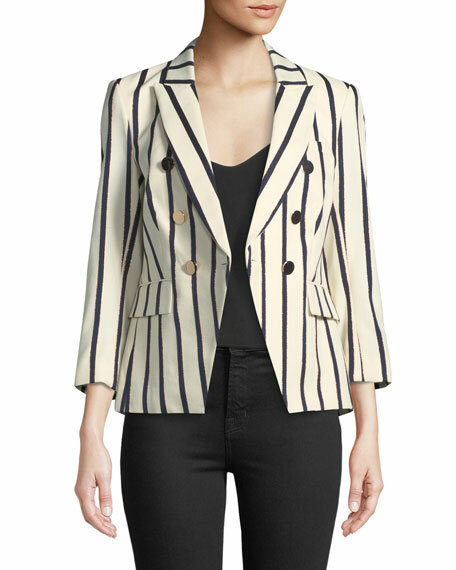 Veronica Beard "Empire" dickey jacket with metal buttons. 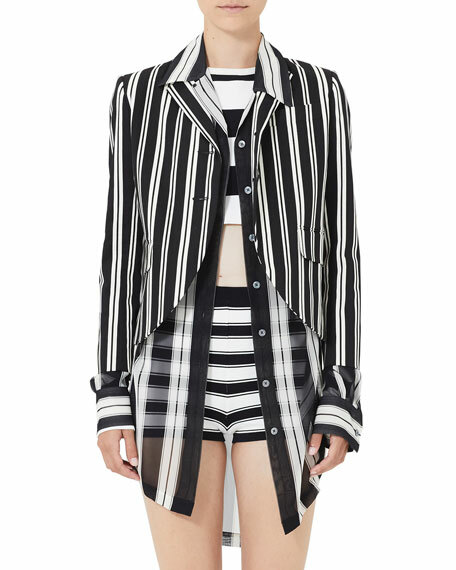 For in-store inquiries, use sku #2526748. 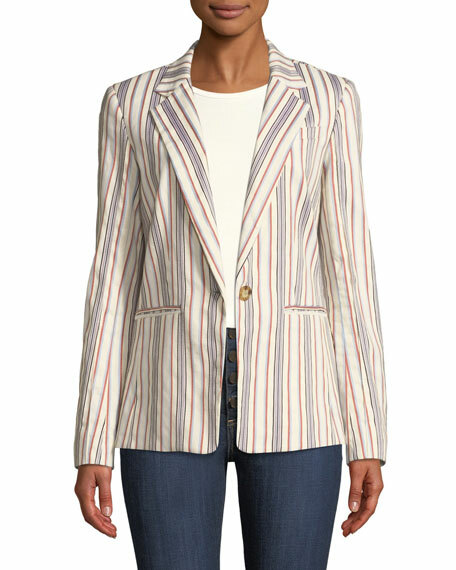 Marc Jacobs boyfriend blazer in shadow stripes. 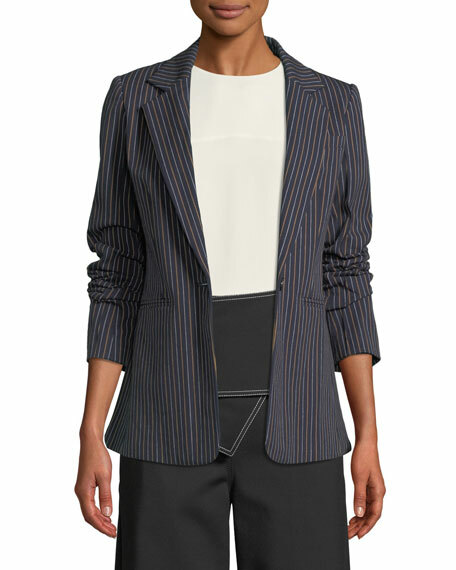 Chest welt pocket; convertible flap/besom pockets. 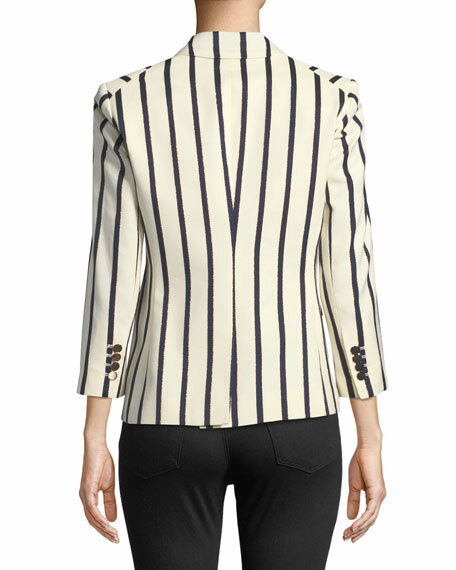 Notched collar; button front. Long sleeves with four kissing buttons. Cutaway hem. Cotton/Lycra® spandex. Bemberg® cupro lining. Made in Portugal. 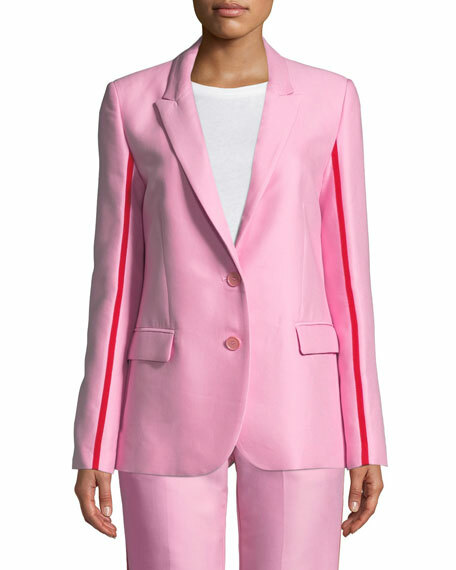 PINKO blazer with contrast racer stripes at sleeves. 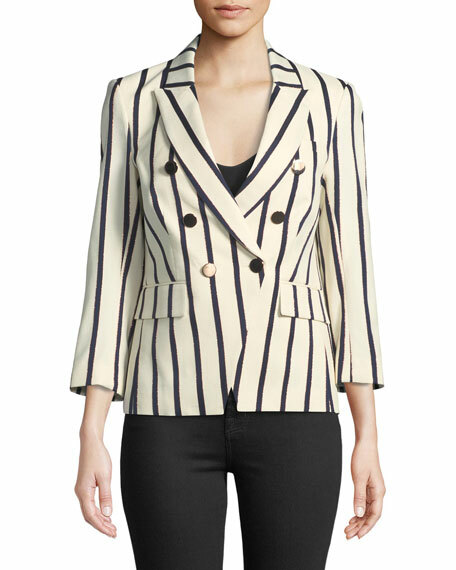 Notched lapels; two-button front. Long sleeves; button cuffs. Front flap pockets. Relaxed fit. Cotton/viscose. Acetate/polyester, lining. Dry clean. Made in Bulgaria.